PASTA SAUCES THAT WILL MAKE YOU LIGHTEN UP! Marianne Moore shares her secrets for enjoying pasta with light sauces and flavors and plenty of smiles. 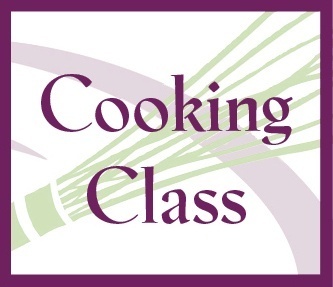 This hands-on class will make fresh lemon fettuccine with pistachio pesto and pecorino, homemade goat cheese ravioli with shrimp and mint, penne with roasted chicken and zucchini and ricotta cream, plus arugula-orange salad with avocados and grapefruit vinaigrette, and almond cookies with Amaretto berry mousse.